After accommodating a large number of satisfied travelers over the last years, Hosteria Papagayo Cotopaxi and its management believes it is time for some modernization measures. For this reason the property will start with a complete renovation of the interior in the next few weeks. One of the biggest modifications will be in the restaurant and terrace area. 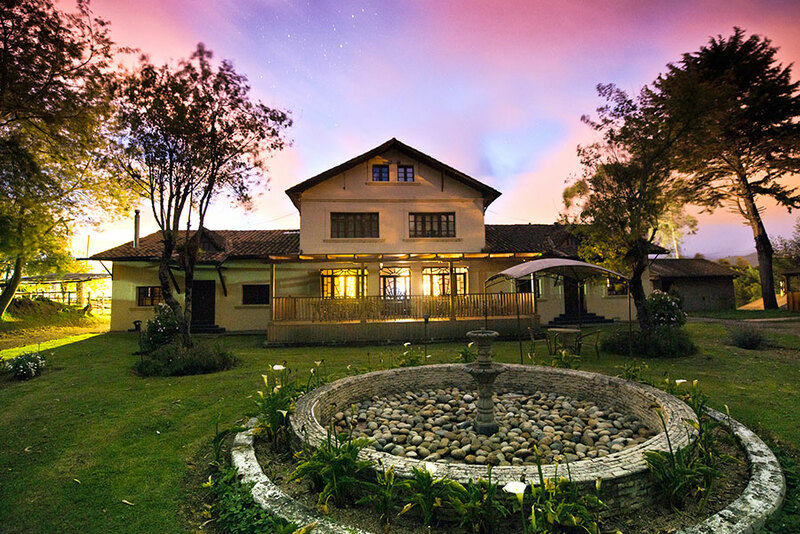 The hosteria is a property that was built in the 1800s and can tell many stories about the Ecuadorian independence activities that took place in the surrounding areas of the property. Its historical heritage includes, among others, the fact that the liberator Simon Bolivar held various meetings with other likeminded people on this place. Here some of the plans were made for the liberation of Ecuador from the Spanish conquers that lead to the countries independence. Based on this historical foundation some of the rooms were named after some important leaders of that time such as Bolivar Suite, Marqueza, Duquesa and many more. To achieve a modern look while keeping an historic vibe, the patio will be reconstructed with big pillars, which are contributing to the colonial atmosphere, the terrace will be equipped with a panoramic window panels in order to reduce the use of electrical energy, including natural green colors from various plants from the area as well. By this measure, our guests will receive the opportunity to fully enjoy a full view of the beautiful surrounding nature while having the comfort of sitting inside on the colder days. To create more opportunities for socializing, the hosteria is getting a build a bar with various high class liquors, cafe and delicious snacks to enjoy on the patio or on one of the comfortable couches and armchairs. To keep the colonial charm, new furniture and decorating elements were carefully considered. While having the goal in mind to create a cozy atmosphere, a new fireplace will be added to generate a homely warmth and achieve the vintage feeling of the historic land house which the hosteria is. Subtler modernization lays in the detail. Armchairs are being added, different decorations like rugs, plants, art objects and indirect lightning. We will keep you updated so you can admire the final result of this modernization while guests can continue enjoying the services and comforts of Hosteria Papagayo Cotopaxi during this transition.